The Quick Release Connector provides the perfect installation solution for your HoseCoil washdown or garden style hose. 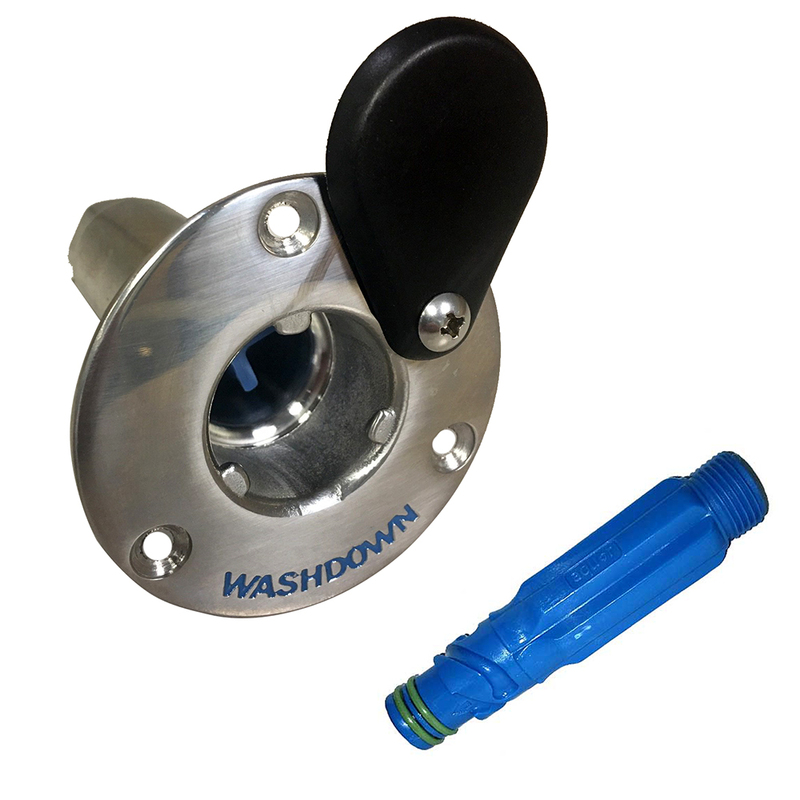 The Quick Release installs easily on your boat and allows you to stow your hose out of the way. Never trip on a hose again! This clever design will allow you to flush mount the Quick Release into your cockpit or bulkhead.